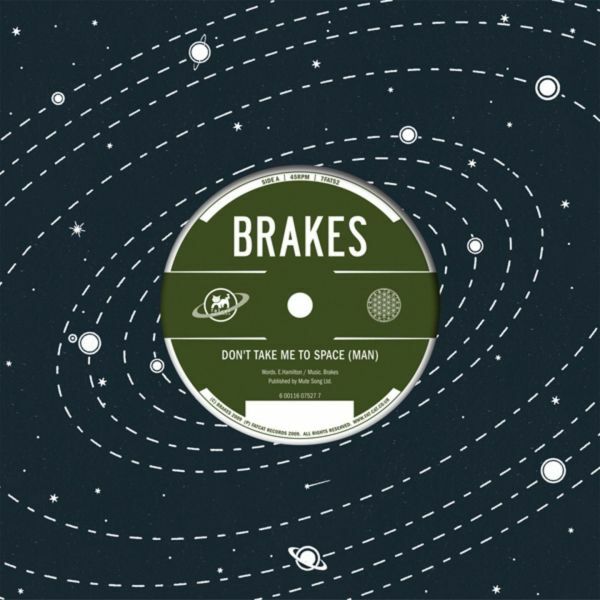 After catching Eamon Hamilton's solo acoustic set in a Brighton bar on a tipsy evening in 2002, brothers Tom and Alex White teamed up with the singer/guitarist, and Brakes was formed. Bassist Marc Beatty joined the trio soon after, completing the line-up. In 2004, Tugboat, a subsidiary of Rough Trade Records, offered to release the band's debut single, 'Pick Up The Phone', and Brakes paid a visit to Beatty's own Mockin' Bird Studios in Brighton, to lay down three tracks. An accompanying video shot by a friend was shown on MTV, and a lengthy tour of the UK followed. A year later, the band headed back into the studio to record their first album, 'Give Blood', for Rough Trade. Produced at Metropolis Studios by Iain Gore, the album was recorded live to two-inch tape without the aid of any advanced technology. Recorded and mixed in one week, and with 13 of the 16 backing tracks completed in one day, the record was a 29 minute introduction to the band's high energy, vibrant and diverse sound, and featured guest vocals from The Duke Spirit's Liela Moss and numerous reworked cover versions. 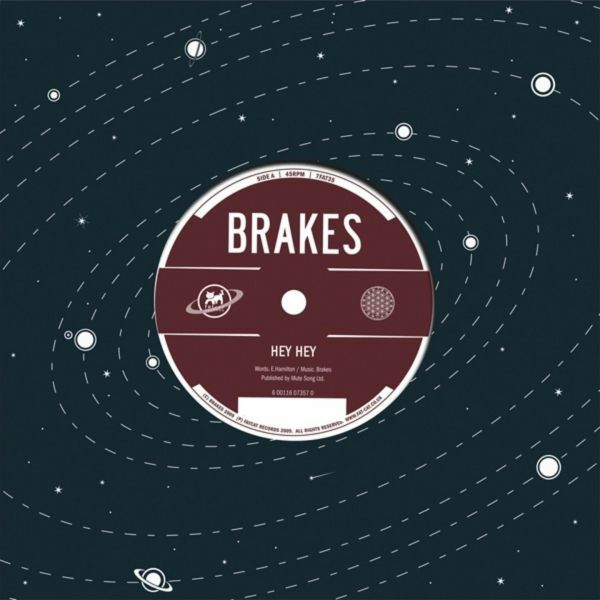 Once again, Brakes returned to the road and toured the UK and Europe, including a 13 date tour with Belle and Sebastian and support slot(s) with Editors, while the album received widespread critical acclaim and featured in many a 'Best of the Year' list. Travelling farther afield to 2006's South By South West Festival in Austin, Texas, the band met Stuart Sikes, who produced Cat Power's 'The Greatest' and engineered the White Stripes' 'Red Blood Cells'. After pairing up to record new song, 'Cease and Desist', Brakes agreed that Sikes was the man to take the helm of their second album and set up camp at the House of David studio in Nashville, Tennessee to record 'The Beatific Visions'. Like 'Give Blood' before, Brakes once again relied on their preferred traditional method of recording directly onto tape. However, this time the song writing process was more organic, as without the rigid time restrictions of their previous recordings, songs could be written and developed in the studio. Rather than touring and developing the material beforehand, the album became fully formed during the recording sessions, and the influential southern roots of their location run deeply throughout the tracks. Returning to the UK, 'The Beatific Visions' was mixed at Radiohead's studio, Courtyard, in Oxfordshire, and was released on Rough Trade Records in November 2006. Marc describes the record as "the soundtrack to a great battle between good and evil where the world almost cracks in half, sucking everyone into a life of eternal darkness and misery" but with "a lot of love and romance in there too". 'The Beatific Visions' draws on tender sentiments and imperative, unruly rock and roll, proving Brakes are a band capable of more than a handful of radio-friendly hooks. Enthralling critics and fans alike, the Killers were so impressed that they asked Brakes to join them on tour, while 'The Beatific Visions' was cited by Radio 1's Colin Murray as his Album Of The Year, and voted Number 4 in Rough Trade Shops' Best Albums of 2006. 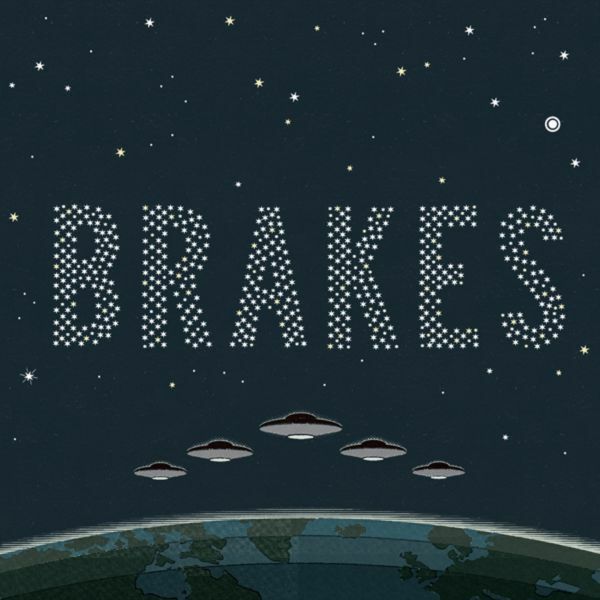 Brakes signed to FatCat in October 2008, and released their third album 'Touchdown' - recorded by Paul Savage at Chem 19 Studios in Scotland - in April 2009. Whilst in the studio, accoustic versions of new and older songs were laid down and a live album was mixed. 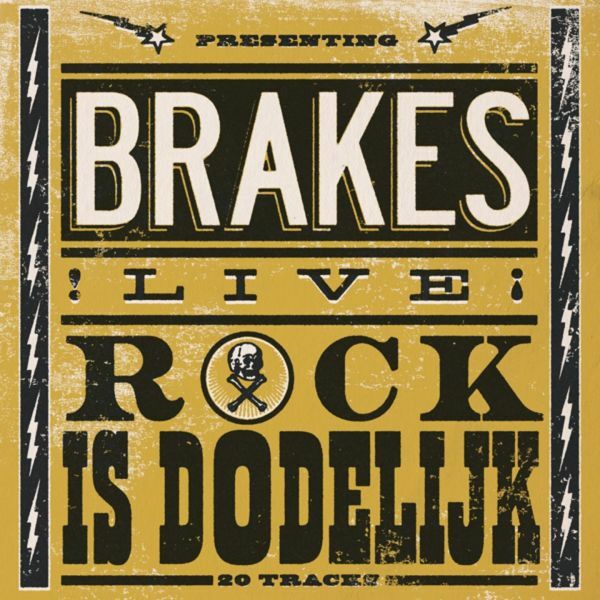 This was later released as 'Rock is Dodelijk' in February 2009 to favourable reviews from publications such as the NME and Pitchfork who praised its accurate documentation of Brakes' rambunctious live show. 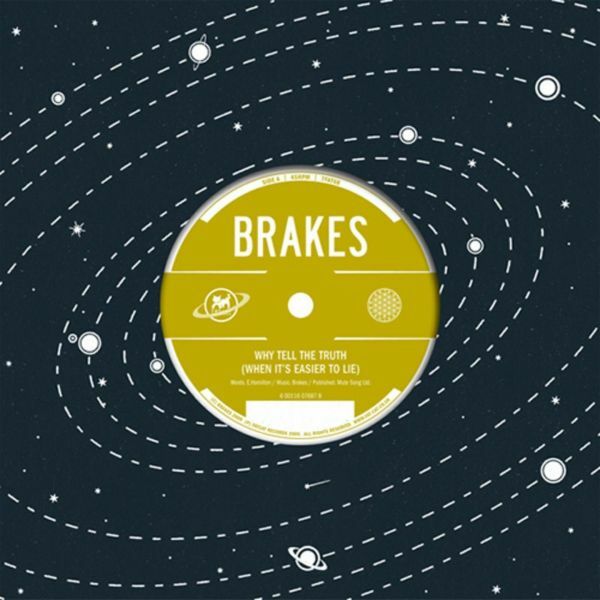 More recently Brakes embarked on a very successful US tour with fellow FatCat residents The Twilight Sad and We Were Promised Jetpacks in October 2009. The band's debut live album 'Rock is Dodelijk' - recorded partly in hometown Brighton and partly in Cologne, Germany - was released in November 2009. Their live set is notorious for its rambunctious energy and ear-splitting immediacy, and 'Rock Is Dodelijk' faithfully Brakes' thrilling crash through it.